Hey there, Bob Ross and The Joy of Painting fans. 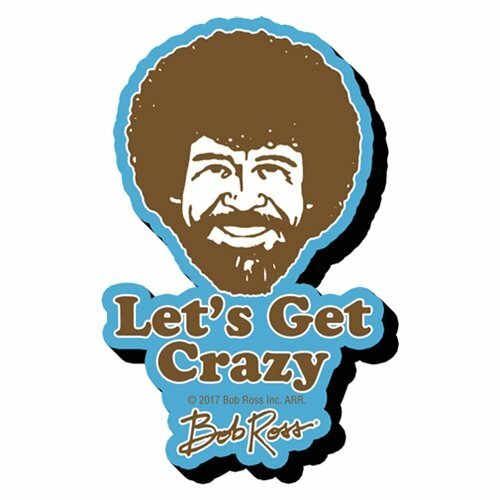 "Let's Get Crazy" with this 4 1/2-inch tall x 2 1/2-inch wide Bob Ross Crazy Funky Chunky Magnet! Ages 13 and up.